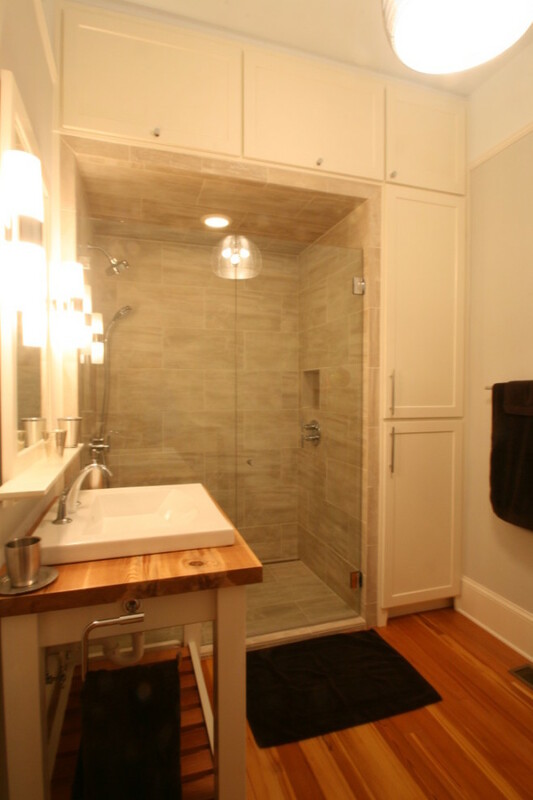 B & M Bathroom – DimensionWorks Inc. Custom cabinets/vanity/mirror, custom antique heart pine countertop and flooring, zero entry shower with channel drain. Copyright © 2017 DimensionWorks, Inc.